How do you define success? Is it getting into the right university? Landing a great paying job, or travelling the world? Is it about the things you have? We believe success is defined by how prepared our children are to walk with God, in whatever role He has for them – that’s part of what makes Rehoboth Christian College distinct. Jesus Christ is Lord of all, including education. We teach from a Biblical worldview and recognise the centrality of the church in the life of the Christian community. Because we are a community of Christian families, we require at least one parent to show that they are a practising Christian in good standing at their church. 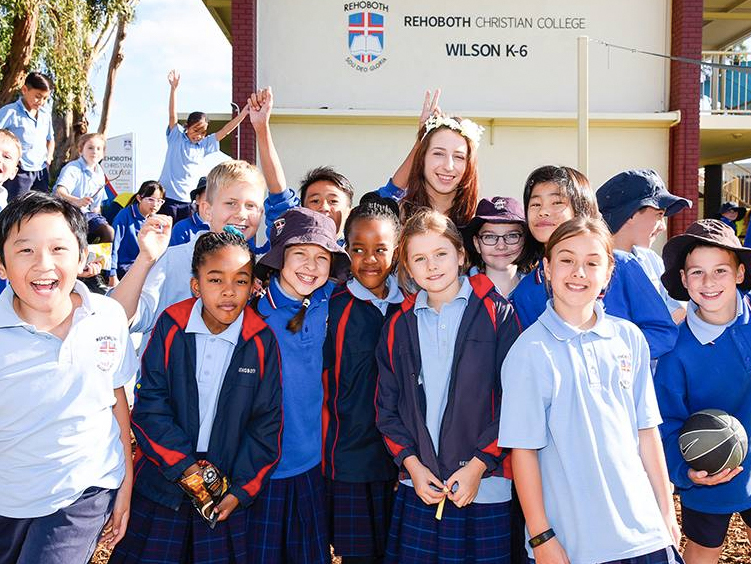 At Rehoboth, we provide a complete Christ-centred education from Kindergarten to Year 12, with programs tailored for Early Learning, Primary, Year 7-8, and Secondary ATAR and VET pathways. All our teachers are active, practising Christians, who understand our parents’ desire to raise their children in the fear of the Lord. One of the most satisfying parts of my role is welcoming new families to the College and sharing with them about what makes Rehoboth such an excellent school. 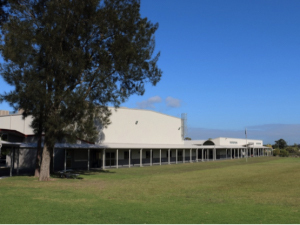 We operate two campuses located in the southern suburbs of Perth, Western Australia. 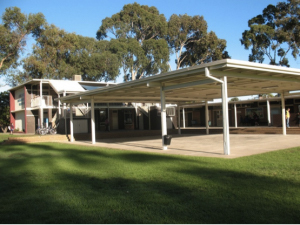 Our Wilson campus caters for students from Kindergarten to Year 6, while Kenwick cater for students from Kindergarten to Year 12. Both campuses are easily accessible by car, bicycle, or public transport. The College also operates three bus routes, including a service between the two campuses. We appreciate that relocating overseas can often be a daunting and complicated task, and settling your child into a new and unfamiliar school can sometimes be difficult. Our aim is to assist you in making this transition to studying in Australia as smoothly as possible, and we believe you will find Rehoboth provides a safe and nurturing environment. To view the complete and detailed Tuition Fees, Charges and Subject Fees for April 2017 to March 2018, click here. The indicative annual total is included for illustrative purposes only and may differ from actual fees charged. Please refer to the full fee schedule for current charges. 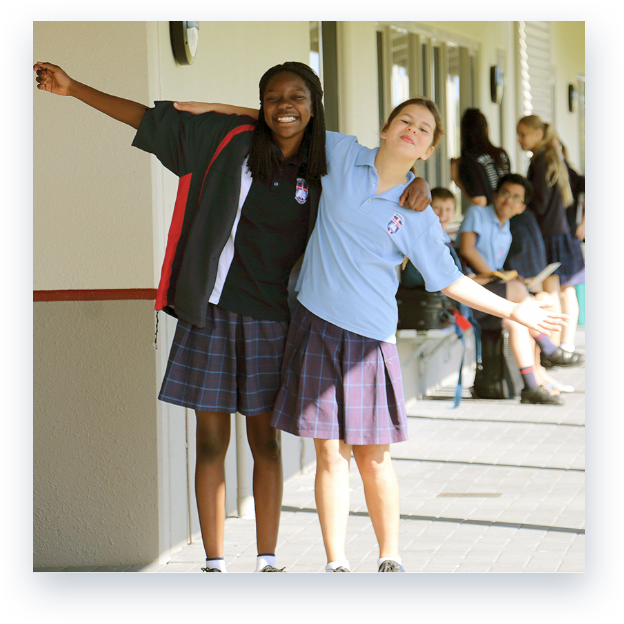 Not only will they receive an outstanding education that meets all Australian curriculum standards, but as members of a covenant community, your children will be surrounded by students from other Christian families and teachers who value and pray for them as people made in God’s image. Take advantage of over 50 years’ experience in delivering distinctly Christian education – talk to us today about how we can partner with you. We are always ready to help Christian parents invest in their children’s future. Our Enrolment Pack contains everything you need to apply at Rehoboth – and best of all, we won’t charge you anything to lodge it. We want to make campus tours as easy and convenient for you as possible. All you need to do is contact us to arrange a day and time that suits you. No obligations, no costs. Start the process by submitting an expression of interest below. We will be in touch to confirm available tour dates and times. Tours are generally available Monday to Friday from 8:00am through to 2:30pm. We appreciate that enrolling your children in a new school can sometimes be a complicated, and even confusing, process. That is why, from the moment you call or walk into one of our offices, we aim to make it as straightforward and pleasurable and experience as possible. Here are the most commonly asked questions about Rehoboth Christian College. If you have other questions, send us an email or give us a call. 1. Is a Christian school like Rehoboth a “real” school? If your definition of a real school is a school which complies with the State and Australian curricula, then yes. If your definition of a real school is the public school down the road, then the short answer is no. The Rehoboth distinctive is to deliver Christ-centred education. How did God intend this subject or concept to be “in the beginning,” or prior to sin? How did the Fall, or sin, affect this subject or concept? How can we, as redeemed people, influence this subject or concept? How can we help the student to “see Jesus” through this subject or concept? We believe that without asking these questions, we would look exactly like the school down the road, and there would be little point to a school like Rehoboth. 2. A Christian school sounds good, but is it scriptural? Deuteronomy 6:4-9 is an important passage which helps us understand Christian Education. It connects ideas about parental responsibility, the role of the home, the need for pervasive and repeated Biblical direction, and the fact that God wants a total response from believers. In this passage, God is saying that all of our thinking and doing, coming and going should be touched by awareness and response to Him. We need to teach this to our children. It’s not an option to dangle in front of them, it’s something we’re told to impress on them. We need to immerse our children in God’s truths and perspectives in all areas of life. God wants us to point our children to Him through all of our activities so that thoguhts of Him and His guidelines to love Him and enjoy life in turn shape all of their thoughts and actions. That’s what Christian Education is, and why a school like Rehoboth exists. The Christian life is something that is meant to be total and natural and permeating all of life. We can’t just say that the education our children receive at school each day isn’t part of shaping their total minds. 3. What's your take on this whole "covenant community" thing? A covenant community is a community of Christian families working together to help each other obediently carry out the covenant responsibilities they have to bring up their children to respond to God in every area of life by providing schooling that is distinctly Christian. The main motivation for the founders of Rehoboth to take the huge step of starting a school was the idea of God’s covenant relationship with Christians and their children. Because we believe that God has made a covenant (a partnership commitment) with his people (Gen 17) and that His covenants are everlasting (Ps 105:8-10) and still applicable to us as New Testament Christians (Acts 2:39, Gal 3:29), our children are special children (1 Cr 7:14) and we still have a special responsibility to train them to love God and to see Him as the beginning of all wisdom. Christian parents therefore need to raise their children to know and love God, leading them to faith by instruction, prayer, and the example of Christian living. The task of the Christian home is enormously important! The responsibilities that we have before God as Christian parents are awesome! The Christian school community can be a great help to parents in shaping Christian minds and lives. 4. Why does Rehoboth make such a big deal about Christian worldview? Isn't it enough that I love Jesus? Questions such as “Why am I here?” “Is there a purpose in human history?” “Is there a God” and “What is important to me?” all combine to determine our worldview, or how we make sense of the world. Everybody has a worldview. It determines how we make meaning out of the information and knowledge we’re exposed to every day. We are, in short, called to develop a Christian worldview. Such thinking should be foundational to what is taught to God’s covenant children at home and in the Christian school. 5. I want the best for my children - how will Rehoboth ensure they succeed? I have four children with different gifts given by God. Some of those gifts are academic; however, most of the gifts I see in my children are those not necessarily “tested”, but which can be developed at school. Gifts such as hospitality or music are very much encouraged and many opportunities are available for our students to serve and glorify God. I want my children to be servants in their churches and influencers for Christi in whatever career they choose. Whether they are hairdressers, pharmacists, dental technicians, or tradespeople is a secondary concern. Their eternity is much more important to my husband and I than what they do for the relatively short time they are on earth. 6. I expect a Christian school to be a safe place, but is it an overprotective environment? What about the real world? All education, and good parenting, will have an age-appropriate, gradual exposure to aspects and ideas in the world. In this respect, Christian education is no different. However, a Christian education does seek to guide students into a full view of the world – including an understanding of how sin has distorted God’s good design. We can’t do this if we’re sheltering students. In the Primary setting, parents want to be reassured that their children’s school is a place of protection. The sad news for parents is that, while we believe that Rehoboth does offer some level of protection for their children, we are a school that enrols sinners and employs sinners. The difference at Rehoboth is that we are delivered sinners. We have Christ to redeem us and the Bible and the Holy Spirit to guide and transform us. While our children are young, we do seek to protect them from worldly influences. We want our students to be challenged in their thinking in age-appropriate ways rather than bombarded with images and ideals that are not in tune with the Bible when they are too young to understand (1 Cr 13:11-12). Students need to be confronted with the cultural context they will one day be immersed in, but not until they are ready. One way to look at it is that we are in the business of preparation, rather than protection. We hope to show students a Biblical framework to help them navigate difficult situations, rather than reactively choosing an idea because it is popular. It is a huge task in which we endeavour to partner with parents. 7. I'd like my child to attend Rehoboth, but I've heard you have an "open to Christians only" policy. What does that mean? We believe that, to partner fully with our parents, we need to understand and believe the same truths of the Bible. We need to share a Christian worldview so that our children learn to understand that this is God’s world and that He is sovereign over it. When we start with the premise that God created a perfect world and man sinned and thus broke the perfect relationship we had with Him, we can begin to see that we are sinful and will do sinful things. 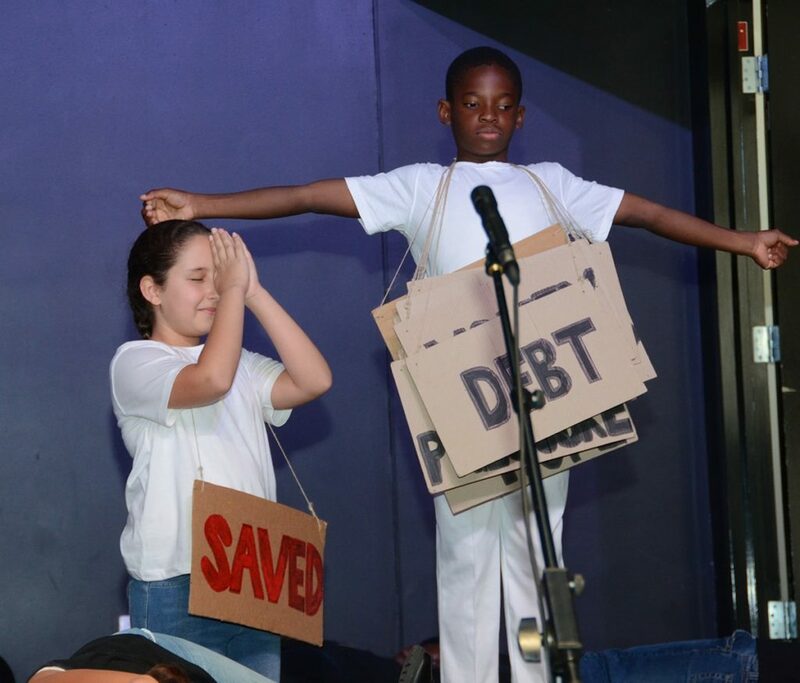 We also know, however, that God sent His Son to redeem us and, knowing this, we begin to work together with parents to help children understand themselves as they grow. When we are one in Christ, it becomes our shared desire to teach our children what it means to live for Jesus. We want them to develop Christian character – not just good “morals” or “values” which are dictated by the world, but a perspective that helps them to respond to Jesus’ love in love and service to Him. We want them to see the world as God sees it and then to help them learn to engage with it and its people and eventually to become influencers of its culture. 8. Are your teachers just as professional? Just as there are well-trained and highly professional Christian teachers working in other schools, the teachers at Rehoboth are no less trained and no less professional. Parents expect no less of our teachers than they would at any other school, and all our teachers must meet the same registration requirements with the Teachers Registration Board. The minimum standards set by the TRB are quite rigorous, ensuring all staff are well-trained and experienced. 9. Can you have academic rigour and Christian education? Isn’t there a compromise required? While academics isn’t everything, a good argument can be made that the Christian school is a more academically rigorous environment. The same state curriculum, with its secular, humanistic, and naturalistic framework, is taught in all schools. We seek to equip students with a critical discernment of the worldview assumptions that the state curriculum makes; a discernment that critiques all that is at odds with a biblically informed view of life and the world. This has a greater academic rigour than accepting uncritically what is taught and learnt. 10. 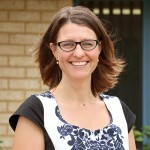 How does standardised testing (NAPLAN, ATAR etc) fit into the picture of Christian education? Our aim is to draw out each student’s gifting and assist them to realise their potential. NAPLAN, ATAR and other standardised tests provide useful data for teachers to help inform them about where students are at, and our students regularly perform extremely well in these tests – but they only provide part of the picture. This is why we talk about the “whole-child”, because we’re interested not just in their academic development, but their spiritual, emotional, physical, and social development as well. It’s out habit to take the data from standardised testing and augment it with appropriate, innovative assessment practices and pastoral care techniques that aim to not only draw out a student’s God-given gifting, but connect all aspects of their learning to their personal development and to real-life. 11. My friend's children go to a public school and are perfectly well-adjusted kids. Why would my children be better off at a Christian school? The idea the purpose of education is for personal fulfilment, individual power, or a “successful” career (usually through competition or consumption) is common in our society. Parents should be aware of the influence that a secular, humanistic education will have on their children. Christian parents want an education that informs and inspires their children to be distinctive, kingdom-seeking disciples who acknowledge that Jesus is Lord of all. Your children might come out of a public school education well-adjusted, but sending your children to a school like Rehoboth gives you the opportunity to expose them as often as possible to a Christ-centred view of life and the world. 12. Shouldn’t our children (and families) be evangelising in the local public school? There are lots of arenas for evangelism for Christian children. Certainly, the local public school can be one. However, we would be asking our children to be evangelists in a context where the teacher has authority over them and their peers, and this person of authority is teaching them about life in this world through their own philosophical framework and via a curriculum not shaped by a biblical view of life and the world. This is a difficult context for anyone to evangelise in. Why not, during their most formative years, have a Christian teacher within a Christian community teach your children a biblical view of life and the world which equips them to be powerful evangelists in other areas of life that they might find themselves?